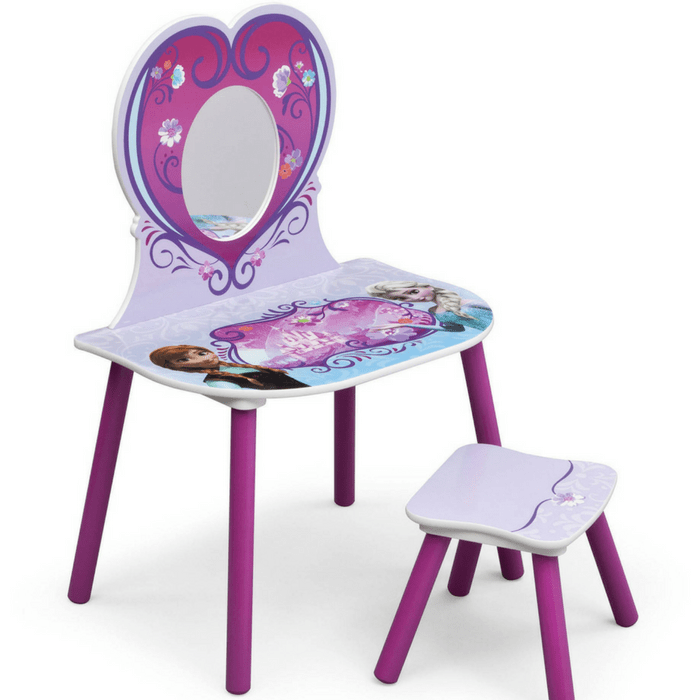 Disney Frozen Vanity With Stool Just $29.99! Down From $50! PLUS FREE Shipping! You are here: Home / Great Deals / Amazon Deals / Disney Frozen Vanity With Stool Just $29.99! Down From $50! PLUS FREE Shipping! Head over to Amazon where you can score this Disney Frozen Vanity With Stool for just $29.99 down from $49.99 PLUS FREE shipping! With this Disney Frozen Vanity & Stool Set from Delta Children your girl will primp and preen with help from Anna and Elsa. Featuring a sturdy wood tabletop, oversized mirror and a coordinating stool, it makes getting ready a royal affair.